Everyone’s all “USA!” “Vai Brasil!” “¡Viva México!” while I’m like, “So, they just played for 90 minutes and the game ends 0-0? That’s dumb.” Needless to say, I’m contributing nothing to the daily World Cup debriefings in the office break room every morning. For those of you whom are indifferent about the once-every-four-years-worldwide-pandemonium, show your “interest” in this ancient international competition by serving up these “World Cup themed” cocktails for you and your FIFA fanatic friends to enjoy. 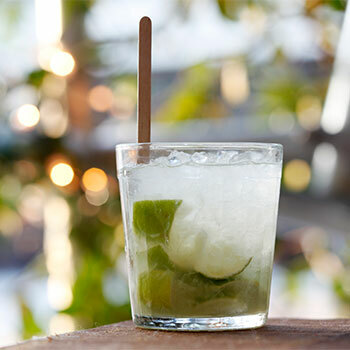 The Caipirinha, translated as, “country bumpkin” (yeah, I don’t get it either), is not only the most popular World Cup cocktail, it’s officially the national cocktail of Brazil! The cocktail comes to fruition with three simple elements: sugar, lime and Cachaça, with Cachaça being the most important. This distilled spirit, made from sugarcane juice, just so happens to be the official liquor of the World Cup’s host country, and gives quite the energy boost when sipped. Quarter the lime and muddle it in the bottom of the glass with the sugar. Fill the glass with ice, and pour the Cachaça over the mix. Serve with a mint leaf garnish, if so desired. Both Peru and Chile claim this white grape brandy as their creation. In the Peruvian fashion, pisco is the base liquor and Key lime (or lemon) juice, syrup, ice, egg white, and the secret ingredient Angostura bitters, mixes together to create the Peruvian Pisco Sour. The Chilean-style Pisco Sour uses Chilean pisco, that’s aged in wood, and Pica lime, leaving out the bitters and egg white. Blend ice cubes, pisco, lemon juice, sugar, egg white, and bitters on high-speed until finely pureed. Pour into two cocktail-size glasses and garnish with an additional swirl of bitters. This sweet and frozen drink is also made with the country’s famous rum, Cachaça. Not only is it perfect for sipping on during the mind-numbing…I mean riveting World Cup matches, but its milkshake-like creaminess makes it a perfect choice for any summer day. Blend the Cachaça, sugar, ice and strawberries on high-speed until smooth. Pour into your glass of choice and serve cold with sliced strawberries, a lime wedge or maraschino cherry garnish! This entry was posted in Sip & Savor and tagged #Cachaca, #Caipirinha, #DeliveredbyDev, #Lifestyle, #Pisco, #PiscoSour, #StrawberryBatida, #WorldCup, #WorldCupCocktails. Bookmark the permalink.